Notify me by email when 2.4GHz low power consumption BLE4.0 module (not include antenna) 16*16mm becomes available. The modules use nRF51822 from NORDIC as the controller chips. With its small form factor, low power, high economic Bluetooth radio, nRF51-01 can easily be added in your system and help to promote the design process. nRF51822 is an ultra-low power 2.4 GHz wireless System on Chip (SoC) integrating the nRF51 series 2.4 GHz transceiver, a 32 bit ARM® Cortex™-M0 CPU, flash memory, and analog and digital peripherals. nRF51822 can support Bluetooth® low energy and a range of proprietary 2.4 GHz protocols, such as Gazell from Nordic Semiconductor. 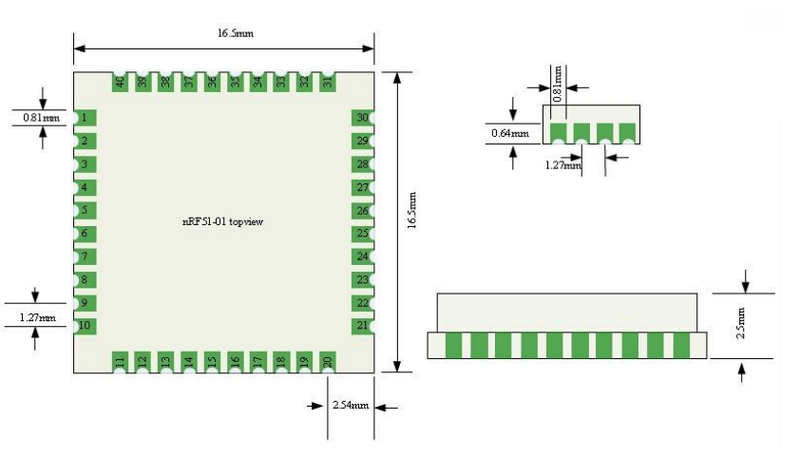 Fully qualified Bluetooth low energy stacks for nRF51822 are implemented in the S100 series of SoftDevices. 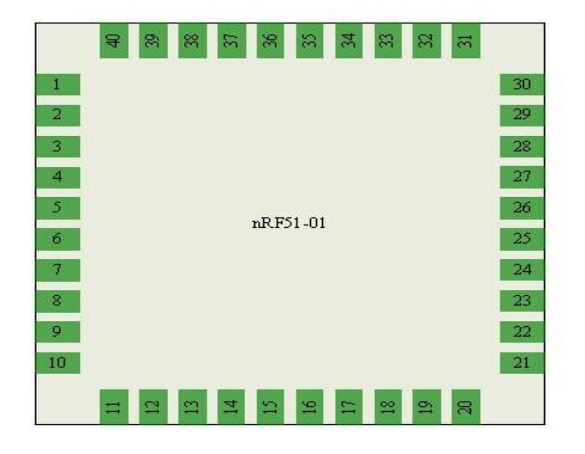 The S100 series of SoftDevices are available for free and can be downloaded and installed on nRF51822 independent of your own application code.